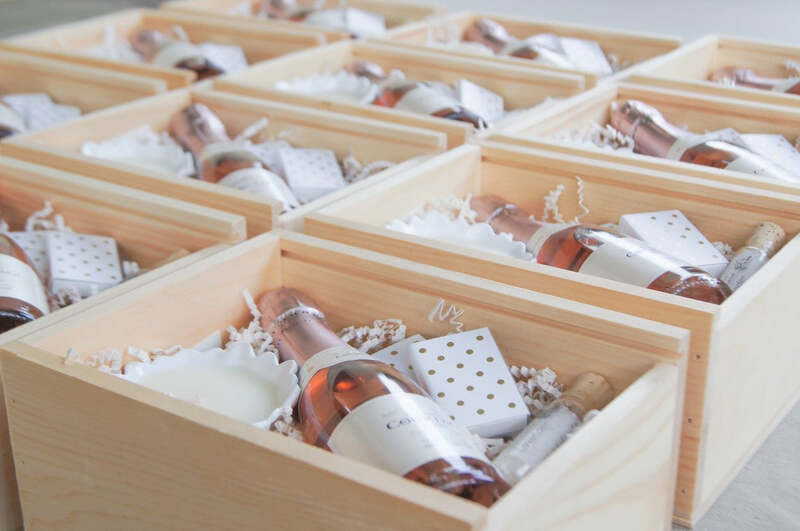 Wedding professionals who have hearts of gold draw us in each and every time, which is why we were oh-so-enthusiastic about designing custom client gifts for All Grand Events! Emily and Jamie, the duo behind this East Lansing, Michigan based business, create stunning floral designs and share the same innate ability to style weddings and corporate events wonderfully. 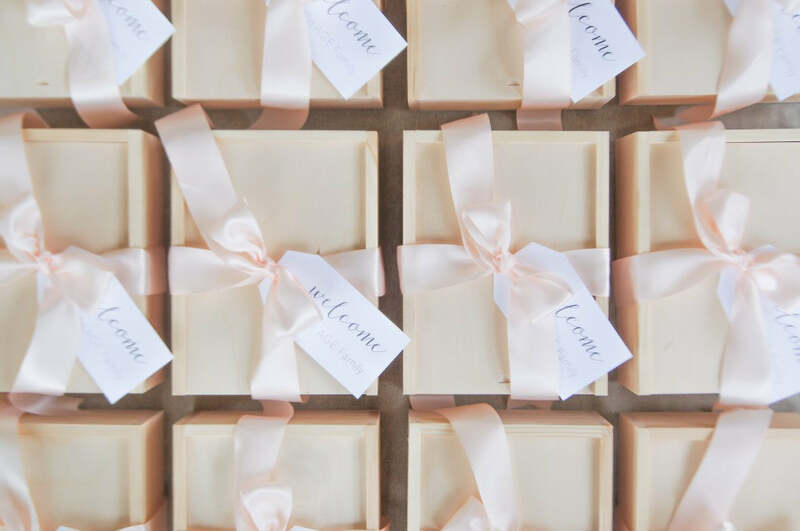 With All Grand Events’ soft blush and sage color palette in mind, the Marigold & Grey team set out to design client gifts that felt welcoming and warm for their engaged couples. 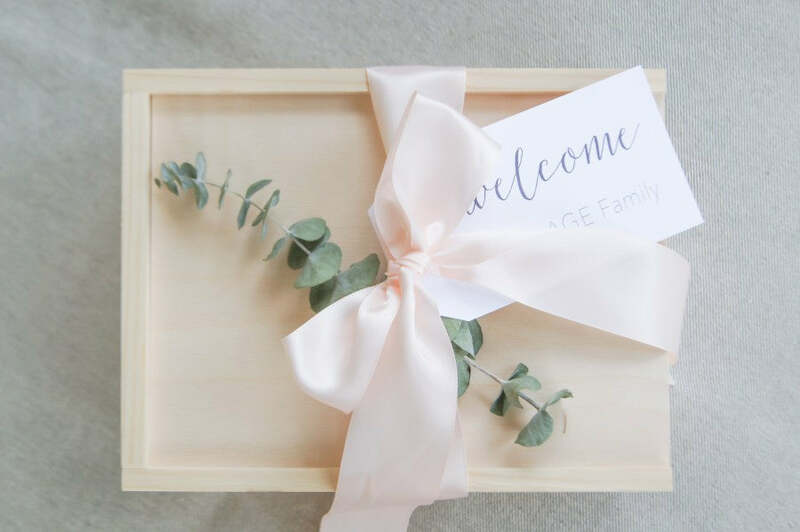 We began with soft pine boxes tied with blush ribbon and a simple “Welcome to the AGE family” gift tag. 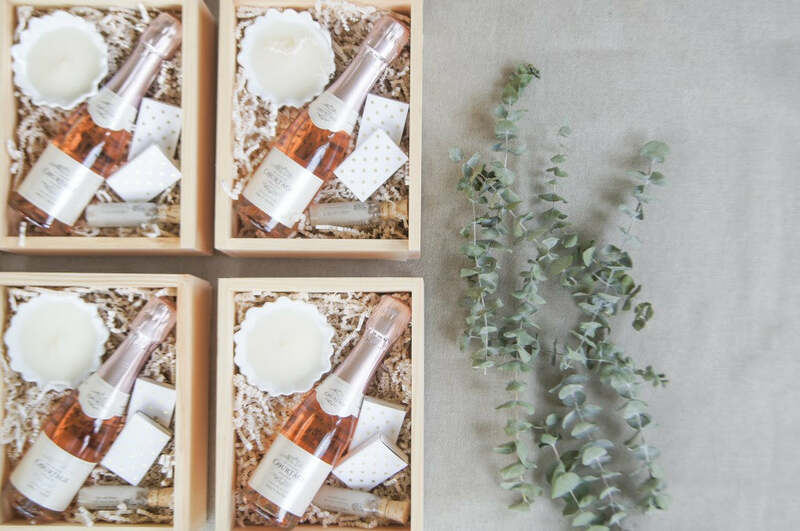 As a nod to All Grand Events’ lovely floral designs, we added dried eucalyptus as a fragrant finishing touch. Inside, each couple found a candle that can easily transform into a perfect ring bowl once it’s done. 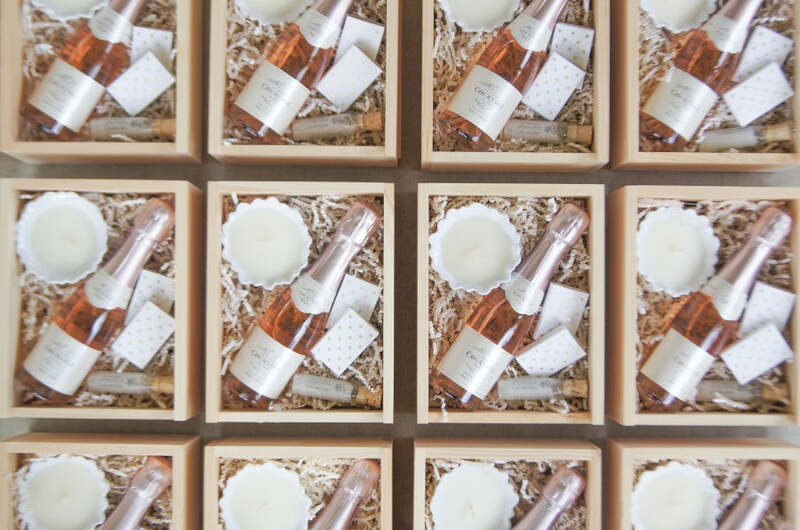 Because it’s best to enjoy a candle when it’s lit, we opted to include a classic gold polka dotted box of matches. Lavender bath salts and a little bubbly rounded out each welcome gift. We sure hope these custom welcome gifts served as a reminder to each recipient to relax, even in the midst of wedding planning! Either way, with Emily and Jamie by their side, we have a feeling they're in a good shape!